London is among many of the cities that are regularly revolving with new and interesting things developing almost on a daily basis. 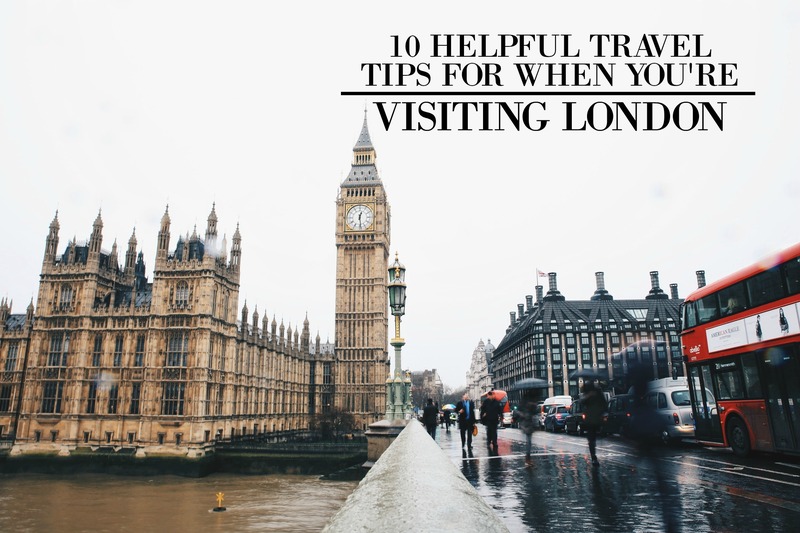 And in order to get the most out of your visit to London, it’s smart to know how to save money and the things you should and shouldn’t do when touring. In fact, everything depends on the kind of tourist you are. Whether you are preparing for a short visit or you are planning your dream vacation to London, below are a few tips that will help you enjoy your visit to London. The first thing you should do is get an Oyster card because it will definitely save you a lot of time and money during your visit to London. You can simply purchase the card at a Tube station and preload it with your preferred amount. And the most amazing thing about getting this card is that after a few days of exploring the city, you’ll have seen so much without having to pay for tickets every time you want to go somewhere. If you want to plan some free activities during your stay in London, then definitely check out their free museums (there are plenty of them!). You can spend part of your days visiting museums like the British and Natural History museums to know more about the country’s past. The best SIM to get while visiting London is the “Pay As You Go SIM Card.” This SIM card provides you with enough airtime to call other UK lines, send bulk messages, and also browsing data which is valid for a month. Wherever you might be in London, you’ll definitely want to take the bus since they’re a great way to get around and easy to find (and cheaper than the Tube). It is more affordable than grabbing a taxi, and the good part is that the majority of the buses are available around the clock (also, it’s fun to ride a double decker bus and see the sights). Always make sure to stand on the right side of the escalator because if you don’t, you won’t be allowing others to pass you by who want to walk up the escalator. Specifically, during rush hours, Londoners tend to push while in a hurry not to miss their trains, so you’ll want to keep out of the way. The best time to go shopping on Oxford Street is during the weekdays. Shopping on the weekend at Oxford Street can be challenging as it’s always super busy. There are tons of markets in London, big and small, that you should explore in your time in London. However, the Borough Market has some amazing eateries that you need to try, so definitely put this one on your list of markets to check out. Not only does spreading crumbs on the floor cause pigeons to crowd walkways, it’s actually a punishable act. As soon as you get caught, you’ll have to pay a fine of ₤500 to the City of Westminster. So make sure this is something you stay away from on your trip to London. While visiting London for the very first time, make sure you map out your route before going out. Simply examine your route ahead of time by quickly downloading the City Mapper App which will make getting around London so much easier. London’s weather condition is highly uncertain, so always make sure to pack an umbrella in order to not get soaked when those notorious showers start dropping. If you’re planning a quick or long trip to London, then I hope that these tips are able to help you out. There are plenty of ways to save money, get around, and enjoy this amazing city. So many sites to see and so much to experience. And when you plan things out ahead of time, your vacation gets so much more enjoyable. So definitely try these tips out and let me know how it goes!